Let’s face it, there are a lot of challenges that come with being a new parent. The initial joy and relief you feel after delivering a healthy baby can quickly be followed by fear, frustration and desperation. This is especially true when it comes to trying to soothe a crying baby. 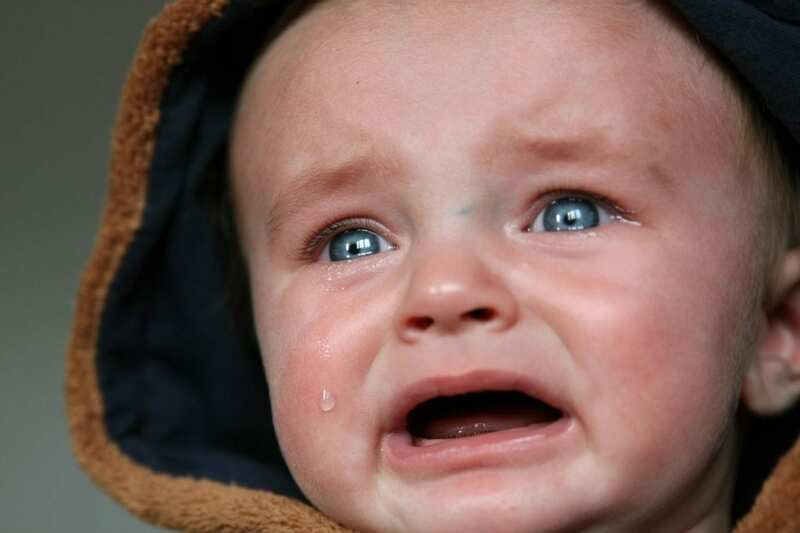 All babies cry, but the reason they are crying can sometimes be a complete mystery. You’ve fed, changed and burped them but their little lungs are still screaming to be heard. If you’re at a loss as to what to do, you’re certainly not alone. However, there are great tried and tested methods out there which can help to save your sanity and soothe your baby when nothing else is working. 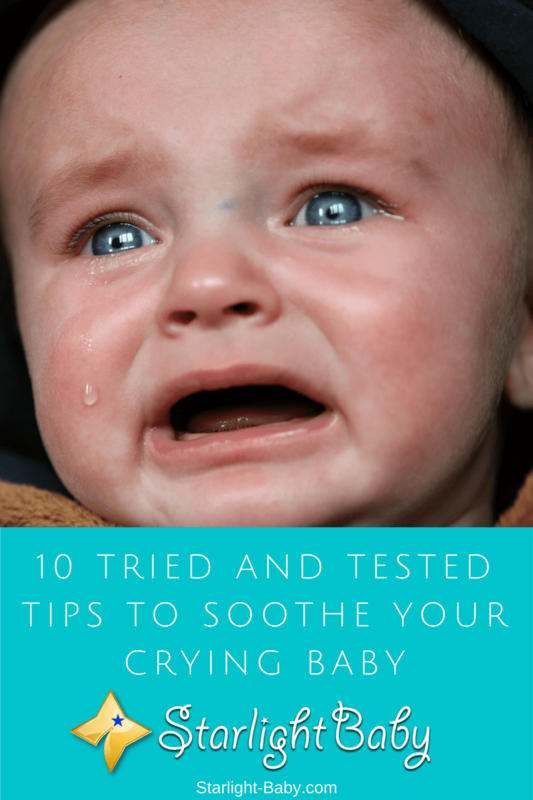 Here you’ll discover 10 of the best tips you can use to soothe your crying baby. You’ve likely already tried walking around from room to room trying to stop the endless crying. However, getting out of the house and even just walking around the block can work wonders. Now this doesn’t mean leaving baby at home and heading out for a walk to clear your head (however tempting that might be!). Strap baby into the pushchair and head outdoors. Many parents swear by this technique. Even if you’re tone deaf, singing to your baby is sometimes all it takes to soothe them. While nursery rhymes are a firm favorite, you can sing absolutely anything. Try different genres. Some babies even love a good metal song! You don’t have to be a talented singer; your baby isn’t a judge! Ask a friend or family member to come and take over. When a mother hears her baby cry, it automatically causes a stress response, which your baby can actually pick up on. The more stressed you are, the harder it’s going to be to soothe your child. A friend or family member doesn’t have the same emotional attachment so they may have a lot more success while you take a breather. This tip is specifically provided for night time crying. Babies do wake up during the night and obviously you’re going to want to rush in to see what’s wrong. However, this is one of the main mistakes new parents make. If you give in to your baby’s cry every night, they’re going to continue to do it. Wait a while to see if they settle. After a while, if they don’t actually need anything they will go back to sleep. As well as singing, dancing can have a miraculous effect on a crying baby. Place baby’s arms around your neck and hold them around shoulder level. Then start gently swaying backwards and forwards. This motion helps them to feel more secure and it reminds them of being inside the womb. This is an especially effective technique for dads to use. This is one of the more unique methods of soothing a baby to sleep. It doesn’t exactly sound very relaxing does it? When you’re trying to get baby to sleep the common thing to do is to try to keep noise levels to a minimum. So placing baby in a bouncy chair in front of the washing machine while it’s running sounds like a ridiculous idea. However, the sound of the washing machine works wonders at lulling your baby to sleep. It’s something that’s easy to try too. As all new parents soon discover, their washing machine is practically always on. Space hoppers aren’t just fun to play with, they’re also an effective baby soother. Similarly, a yoga ball will work just as well if you don’t have a space hopper handy. Simply sit with your baby and gently bounce up and down on the ball. It’s all about the bouncy motion – babies love it! If you haven’t bought a sling for your baby, you might want to get one now (and if you want to wait, Starlight Baby is eventually going to come out with one of our own!) If they really won’t settle, place them in the sling and walk around with them as you perform your daily chores. While in the sling they will be able to feel your heartbeat and it will also provide a gentle swaying motion which is well-known for soothing babies. Going for a drive works just as well, if not better, then going for a walk. Strap them into the baby seat and head off on a little adventure. You’d be surprised how many parents do this at 2 in the morning! It is one of the most tried and tested methods out there and works incredibly well for irritated babies. You may even find you don’t have to drive very far. The quiet and the motion of the car will usually help them to drop off to sleep fairly quickly. Sometimes, no matter what you do, your baby is going to continue crying. It can seem like an endless assault on your ear drums. It’s going to stress you out, which in turn is going to prevent baby from settling even further. If the crying has been going on for what feels like forever and nothing you try is working, place them in their crib and take a breather for 10 minutes. They aren’t going to harm themselves in the crib and you shouldn’t feel bad for stepping out of the room for 10 minutes. It will give you chance to de-stress and calm down. By the time you go back in, you’re going to be in a much better position to try and soothe your little bundle of joy. Overall it is a case of trial and error. You’ll often end up trying many different things before you find something that works. The key is persistence and remembering that the crying won’t last forever (even if it feels like it!). Try all of the tips above and if you’re really concerned and the crying seems to be a constant, persistent problem over the course of a few days, take them to the doctor. It’s always better to be safe and find out if there’s an underlying reason behind their distress. However, it is normal for babies to cry uncontrollably for no apparent reason and this is something you need to remember when times get tough. This article was written by a Starlight Baby writer, and does not necessarily reflect the views of the company as a whole. We understand and accept that different situations call for different sets of actions, and we never believe there is always one ‘right’ way to go about things. Is White Noise Helpful Or Harmful To Babies? It sure is a trial and error method as there could be many reasons for that howling including perhaps some inconvenience. It could even be stomach ache. Keeping grip water handy could be a good idea. We were once travelling by train and a baby in a woman’s arms was crying non stop. We notice that the shoes that were put on that child seemed very tight. We alered the lady about it and rightly the baby stopped crying as soon as the shoes were removed. I’ve had the privilege to take of my cousin while I traveled to their place during those holidays we had back then in school and I always sing for him whenever he is crying. Truly, it’s one of the way to make a crying baby keep calm. Singing works perfectly well in keeping a baby calm, babies have this focus on something that seems to be the odd event in the surrounding where they are. Should they be crying and their parent just pop up singing, the baby would just pause to grasp what’s happening and immediately would be captured by the song and likely start laughing, putting an end to the crying. Taking a walk, dancing for the baby and singing for the baby does the trick for me in getting any baby that I’m taking care of to stop crying as long as it’s not hunger that is prompting the cry. If it’s hunger, there is nothing you can do to stop the baby from crying until the baby is fed. These are the proven methods to make the baby stop crying as there are his favorite activities.